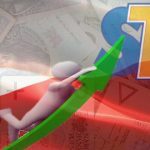 Sports betting drove Poland’s regulated gambling market in 2017, according to a new report by the country’s Ministry of Finance. Last Friday, the MoF issued its annual review of the country’s regulated gambling market, which saw overall gambling turnover of PLN12.9b (US$3.5b) in 2017, a 22% improvement over 2016’s turnover figure. The government’s tax take improved 17% to PLN1.64b over the same span. The Polish market remains dominated by casinos (PLN4.8b, +13%) and lottery operations (PLN4.6b, +1.4%), but sports betting stole the show, posting annual turnover of PLN3.4b, a year-on-year improvement of 105%, which pushed betting’s share of the overall market from 15.7% in 2016 to 26.4% in 2017. The betting boom was spurred in part by a 29% rise in the number of retail betting outlets, but Poland’s newly regulated online betting market was the vertical’s prime mover. The report didn’t break out specific numbers for online turnover, but you can derive a sense of the betting shift via the government’s tax figures. In 2016, the government’s share of betting activity was PLN196.6m, of which PLN88.1m came via the internet. 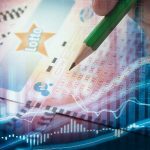 In 2017, betting tax totaled PLN407.4m, of which PLN279.2m was generated online, a year-on-year gain of 217%. Polish legislators approved new online sports betting rules in late-2016, and the regulated market officially began life on April 1, 2017, prompting a flurry of market exits and the birth of a new blacklist of operators who failed to make an appropriately swift run for the border. 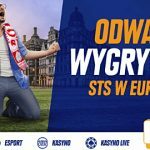 Poland has so far issued only nine online betting permits (online casino products are reserved for the Totalizator Sportowy monopoly), with many international operators citing the country’s 12% tax on betting turnover as sufficient reason to avoid applying for a Polish license. Last month, Poland’s government estimated that locally licensed operators’ share of the online betting market had risen to 40% by the end of 2017, up from a mere 10% prior to the imposition of the new regime. The government hopes rigorous enforcement of its domain- and payment-blocking tools will eventually push the domestic online share to 90%.